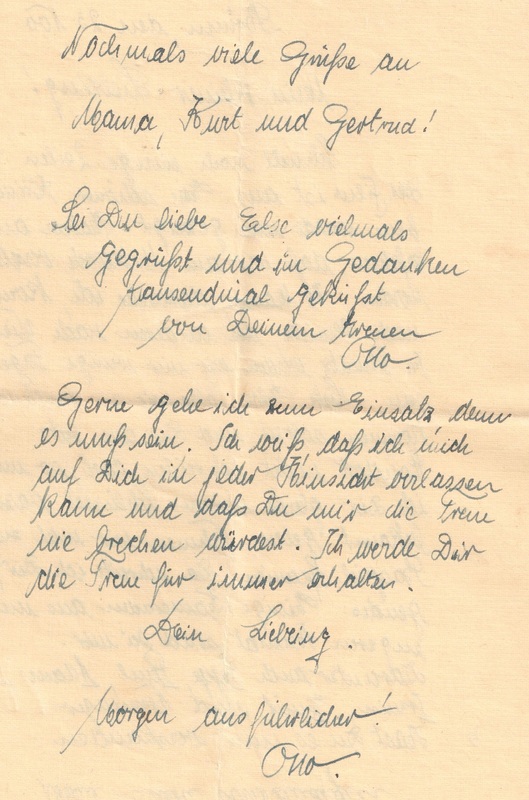 How to tell your loved one where you are, if you are a soldier and not allowed to mention your whereabouts in your letters? A German soldier in the Second World War came up with a steganographic technique. 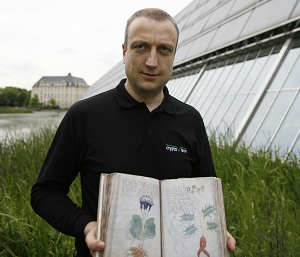 Tobias Schrödel, whom many readers know as a comedy hacker and collector of encrypted postcards, has provided me a beautiful example of steganography. 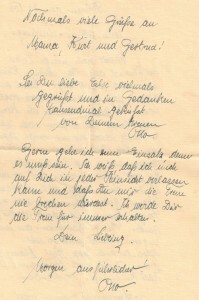 The steganographic method in question is described in a letter written by a German soldier in 1940. 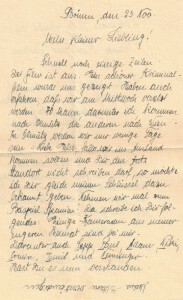 The sender of the letter was named Otto Gamber. Apparently, Gamber was stationed in Brünn (Brno), a city today located in Czekia. His home place (or at least the place were his spouse lived) was Niederlustadt, a village near Germersheim, Germany. Today, this place is located in the federal state of Rheinland-Pfalz. … was named Else Rothmeier. The title “Fräulein” indicates that the two were not yet married. Example Spain. I will write you the following: A few comerades from my home region are still with me. Among them are Sepp, Paul, Adam, Niki, Irmin, Emil, and Neuninger. It goes without saying that this system was not new and not especially inventive. I am pretty sure that censors discovered a message encoded this way. To my regret, we don’t know whether Gauber ever used this system, let alone if his hidden messages (if they existed) were discovered. Technically speaking, Otto Gamber’s steganographic method is an example of an acrostic. An acrostic is a text, in which the first letter of each word or paragraph spells out a message. My book Versteckte Botschaften- Die faszinierende Geschichte der Steganografie contains a whole chapter about acrostics. There are plenty of acrostists in poems, tombstone encryptions, novels, and many other texts. Otto Gamber was not the only one who thought of using an acrostic for beating a military censor. 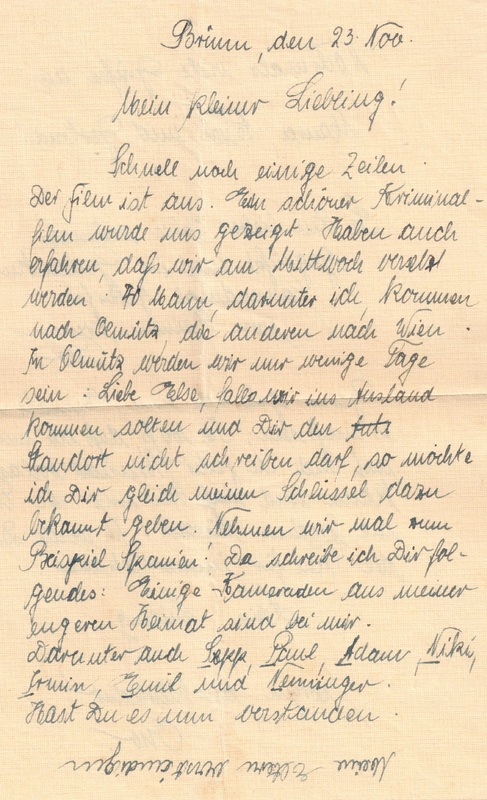 One thing I don’t understand (Tobias Schrödel asks himself the same question) is, why there was no censor who discovered Gamber’s description of the steganographic method in this letter. Was there no censorship in the military unit Gamber belonged to? Perhaps a reader has an idea. 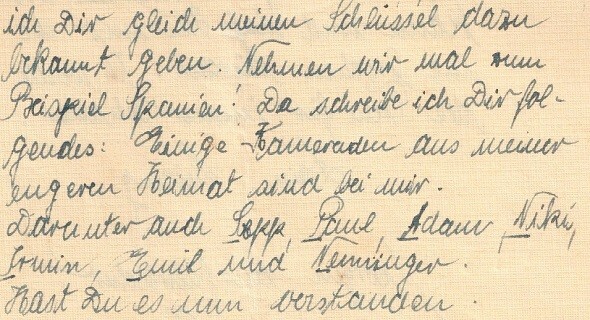 November 1942 war es, zumindest in Brünn, mit der Geheimhaltung bei der Luftwaffe anscheinend noch nicht so weit her, weil Otto Gamber auf der Rückseite des Briefes noch die Einheit (so auch der Stempel “Kraftfahrtausbildungsstelle der Fiegertruppe”) und den Standort (Brünn-Schimitz) angeben konnte. Im Jahr darauf verwendete er in seinen Briefen an Frl. 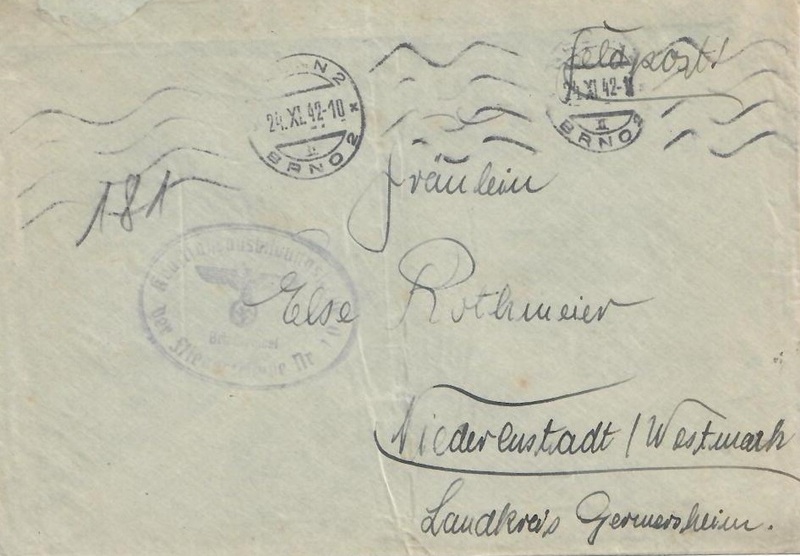 Rothmeier nur noch die Feldpostnummer seiner Einheit, die über ein Münchener Luftwaffenpostamt lief, https://www.ebay.de/itm/323378573101?rmvSB=true. Leider sieht man hier nur die Umschläge.